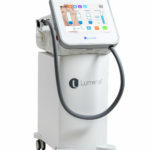 The Lumenis Lightsheer® Desire™ is a medical grade Diode Laser, which is the result of many years of scientific research by Lumenis, who are leaders in Surgical and Aesthetic Medicine. The laser we operate in our clinic known as the Lumenis Lightsheer® Deisre™ uses patented suction technology making it virtually PAIN FREE and more effective at reaching the hair follicle and the melanin. The Lightsheer® Desire™ is one of the only FDA (Food and Drug Administration) approved laser hair removal systems available worldwide, therefore it is widely regarded as the ‘gold standard’ in hair removal, delivering far more superior results to most other lasers and IPL systems. This is required before any treatment, even if you have had laser treatments at other clinics before. Our therapist will test a small area of your skin with the laser (areas tested will depend on which areas you want treated). This will give us important information about any possible reactions that may occur and will help guide us to the best treatment settings for your skin and hair. Not only will you achieve better results but you will also ensure you are being kept as safe as possible from any adverse reactions. Very few people have problems with the laser and are normally free to go ahead with treatment 48 hours later. The majority of people and skin types will be suitable for laser hair removal which is very safe when delivered by our highly trained and professional staff. Certain small groups of people may have conditions that may make it unsuitable. You can either call us to discuss this or visit us for a free consultation. No. Traditionally laser and IPL hair removal systems have been known to be painful however this has all changed with the advanced technology used within our laser systems. 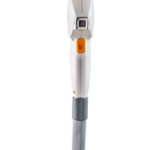 The vacuum on the headpiece reduces the pain sensation making it virtually pain free. You will feel a light pinch and a small amount of heat but that’s all. You can get an idea of how the laser works and feels during your free consultation and patch test. This varies for each individual. Normally six sessions is the minimum number required and this is why we sell packages of six +. Some people may need more, particularly if you suffer from certain medical conditions such as Polycystic Ovarian Syndrome (PCOS). During your consultation our trained therapists can assess your medical history, skin type, hair distribution, density and thickness and give you a better idea of what to expect. The majority of our customers see results from the first session. Usually within 2 weeks of your treatment, the hairs tend to fall out. Regrowth will be slow and patchy and it will take a few weeks for the hair regrowth process. Eventually after a few treatments the follicule demolishes leaving you with hair free skin. In most cases, you should see 25% to 35% hair reduction with each treatment session, with up to 95% total hair reduction after only 6-8 sessions. Certainly. Our procedures are designed to be pain free/scar free, leaving you free to return into work looking truly supreme! water. Good personal hygiene is essential to the success of the treatment.